Its that time again at the Sisterhood! I wasn’t the least bit hesitant to hop on the scales this morning! That’s always a good feeling! Today’s numbers: 139.8! So I lost 2.4lbs this week! I broke another decade! 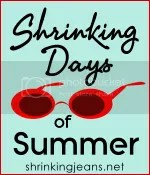 And I’ve surpassed my goal for the Shrink into Summer Challenge! Woo-hoo! I still have 3 weeks before the challenge ends and I’m hoping I can get to 135! That would be AWESOME! As of today I’m only 14.8 lbs away from my goal weight! Yay!!!! I also completed Week 2 Day 2 of Couch to 5K and it felt soooo good! I tried running in the evening on Monday and I thought I would die so I decided to stick to early morning runs. The weather was perfect this morning at 6am! Now I just need some caffeine and this morning will be off to a great start! Woohoo…that is awesome! Congrats on having a fabulous week! I started C25K W2 this week…so I’m just a step behind you. Have you noticed the scale changing more when the runs got longer? Congrats on reaching your goal for the challenge! Keep up with the running. I’d love to keep up with that, but my body is all about dancing. that’s awesome!! 🙂 you’ve totally blown by your original goal for the challenge. hopefully you’ll be able to make it to the new goal in the next 3 weeks. Congratulations! Way to go on getting into a new weight range. I love the C25K program, keep it up! Almost at the 25# mark!! That’s wonderful. Keep it up!! 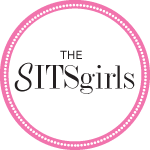 Hi Jamee – wonderful blog! I too have Fibromyalgia and my best friend has Celiac so I have a good idea what you are going through. My chiropractor has suggested I stay off milk (I avoid it as it’s a trigger for me) and cut way back on wheat. He thinks these items could be behind some of the achiness and pain. He also suggested Omega 3’s and Aronia Berries. He says that will help tremendously with the pain and inflammation in the muscles. And he also supplied me with a TENS Unit which the insurance provided FREE and they also send me the neurotransmitter pads monthly at no charge. (This obviously depends on your insurance if it’s free) – I’ve been amazed at how much this has helped the intense pain I’ve been in for the last 4 years and I waited till 6 months ago to say anything! It’s really helping with my nerves going crazy at work. Dr put me on GabaPentin for the pain – best thing I’ve ever taken! (I’m extremely sensitive to medications) and also melatoxin for the inflammation. Check into the “National Fibromyalgia Association” group on Facebook and if you ever have questions, need to bounce things off of others, need to find out if a symptom is possibly due to (? ), there is a wonderful support group there. I hope this helps you some with giving you some ideas. Please come and follow me when you get a chance and we can help each other with questions and thoughts as needed. It really helps to have support.